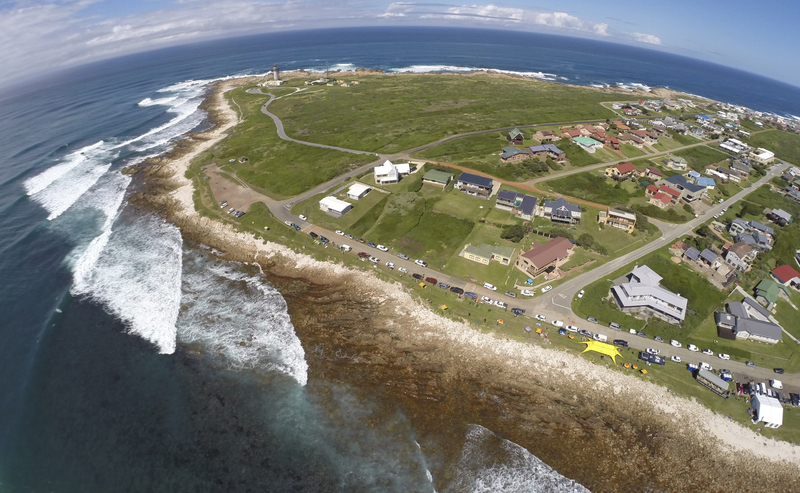 Seal Point, Cape St Francis – Light offshore conditions and a clean three to four-foot swell revealed itself at first light for day two of the Billabong Junior Series final event, and the contest was called on with the U20 Pro Junior Men sent straight out. Diran Zakarian from Melkbos was the first surfer to find form, winning the first heat of the day with an explosive backhand performance in the crisp waves. 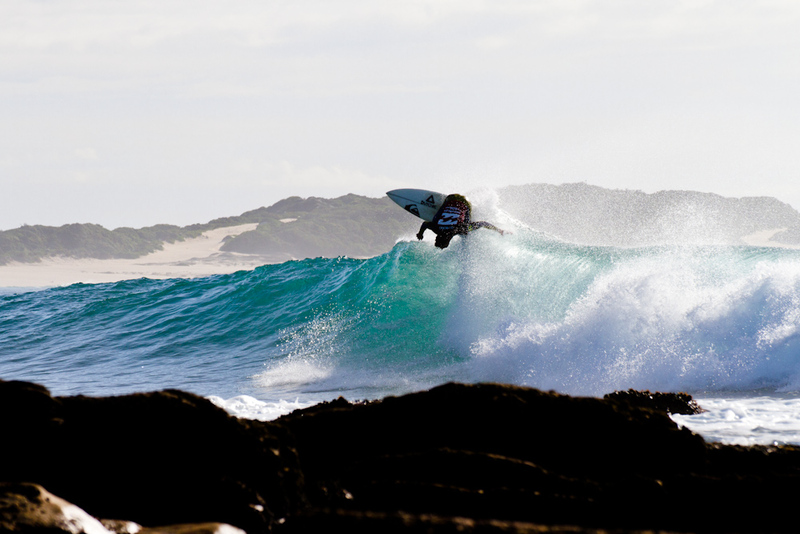 Other surfers in good form in the Pro Junior division were Steffan Burrows from Stellenbosch, Jarred Veldhuis from Kommetjie, Adin Masencamp from Strand, Jordan Maree from Kalk Bay, as well as Joshe Faulkner and Steven Sawyer, both from JBay. The first heat in the U16 Boys division saw a major upset, with Alex van Rijswick from PE taking the win and Johnathan Coffey from PE coming in second. In the process top-rated Jordy Maree from Kalk Bay along with Ford van Jaarsveldt were eliminated. With Maree out of the picture, the U16 Boys division race opened up for Jake Elkington from Hout Bay, who needed to advance from the next heat to be in the run for the division title. He went on to win the heat, and keep the U16 division race open. The U14 Boys saw Max Elkington from Hout Bay put on an excellent performance on his backhand to win the first quarter final from Saxton Randall from Durban in 2nd, Joe Webster from Kommetjie in 3rd and Jared Hook from Riverside in 4th. In the U20 Pro Junior quarter-finals it was Josh Smit, Adin Masencamp, Matt McGillivray and Steven Sawyer who stood out in the deteriorating onshore conditions, with some fast and explosive surfing and big moves, geting them into the semi-finals along with Steff Burrows, Derek Horlock, Dylan Lightfoot and Shane Sykes. The day’s surfing finished off with the U14 Girls semi-finals and the U16 Girls semi-finals in what had become somewhat difficult conditions. Local favourite Crystal Hulett continued her charge by making the most of the tricky conditions to advance to the U16 Girls final, along with heat winner Cana Foster, Ruth Armstrong and Taghiti Gericke. Tags : and the contest was called on with the U20 Pro Junior Men sent straight out. Diran Zakarian from Melkbos was the first surfer to find form, Cape St Francis - Light offshore conditions and a clean three to four-foot swell revealed itself at first light for day two of the Billabong Junior Series final event, Seal Point, Top performances by surfers at Seals, winning the first heat of the day with an explosive backhand performance in the crisp waves.